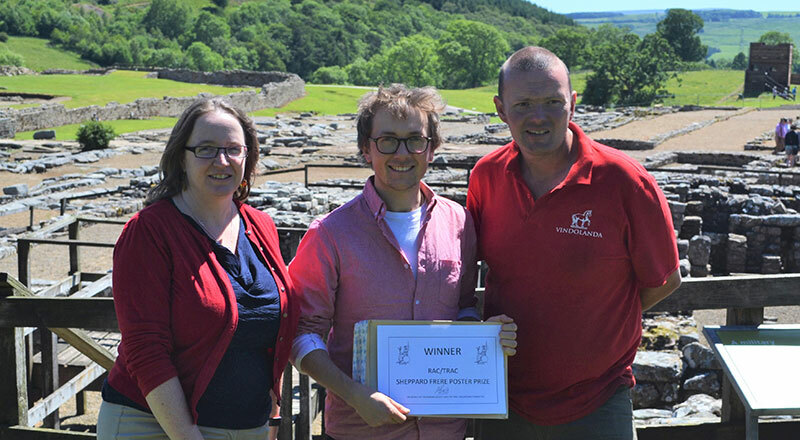 Congratulations to Rhys for winning the Sheppard Frere Prize, a prestigious award for research in Roman archaeology! As you may remember, we recently had several posters presented at the RAC/TRAC conference in Edinburgh. Thanks to the hard work and hours put in by everyone on the TUBA team, we got some great feedback for each poster. Rhys was even awarded the prize for the best and most innovative student poster for his work titled: “Bullseye: Analysis of ox skulls used for target practice at Roman Vindolanda”. Please, read more about this in an interview over here! Previous Warm Welcome to Aboli! We are a research group at Teesside University looking into Vindolanda, an amazing Roman World Heritage site at Hadrian’s Wall. How does the adherence of vivianite aid the preservation of fragile artefacts at Vindolanda? What are the chemical and biological processes causing the excellent preservation at Vindolanda? Can we use our knowledge of these processes to determine the likelihood of good preservation? I do more than lab work..
Spectroscopy and Pastry. Is there anything better?